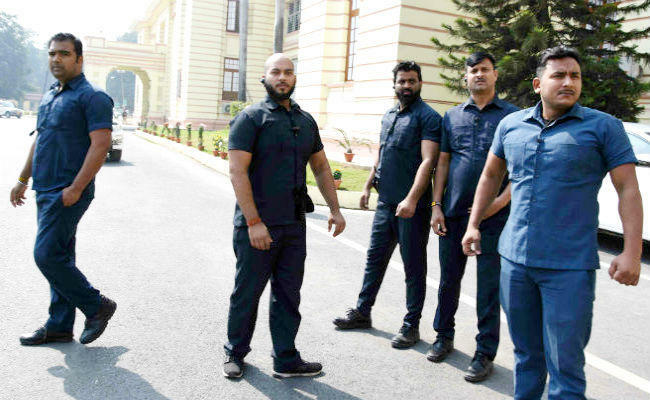 PATNA: A peculiar situation arose in the Bihar assembly on Wednesday when a RJD lawmaker Tej Pratap Yadav reached the House in the company of well-built bouncers, prompting the authorities to order an investigation. Tej Pratap is elder son of RJD chief Lalu Prasad now serving prison term in jail in fodder scam. Reports quoting local media said Tej Pratap entered the House through gate number 8 accompanied with his private security guards but the security personnel deployed at the gate didn’t question them. The whole story came to light when the local media noticed the safari-clad bouncers loitering in the assembly premises without any hindrance and inquired about them. Tej Pratap defended his private security guards saying he hired them for his personal safety as the government has not given him security. “Who would provide security to me if I don’t take care of my own safety?” he asked the local media. Bihar DGO Gupteshwar Pandey has ordered investigation into the matter and has announced to initiate action against cops found guilty during the probe.